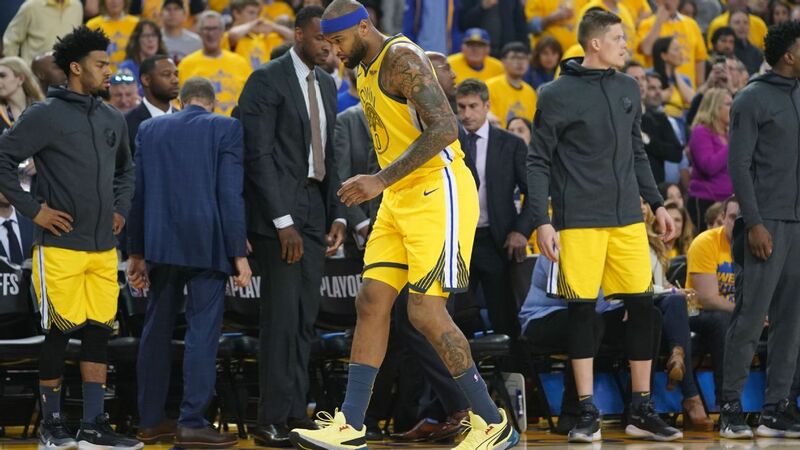 The Golden State Warriors are fearful that All-Star center DeMarcus Cousins ​​has suffered a torn left quad but will not be certain until an MRI examination on Tuesday, league sources told ESPN. 35-131 Game 2 loss to the LA Clippers, was serious and season-ending, league sources said. "There's a pretty significant quad injury … he's going to be out for a while," Warriors coach Steve Kerr said after the Clippers evened the first-round playoff series at one game apiece. Cousins ​​missed a full year of play with a torn left Achilles suffered a year ago in New Orleans. He signed a one-year deal with the Warriors, expecting that a healthy return to play would catapult him back into the free-agent market this summer. Cousins ​​had shown steady progress and glimpses of his All-NBA self prior to Monday's injury, but now he could be facing several more months of rehab on the quad. The injury occurred with 8:30 left in the first quarter after Cousins ​​knocked away a pass from Clippers forward Danilo Gallinari. As he tried to chase down the ball, he fell to the floor before he could control the ball. Cousins ​​tried to get up and keep going, but once he rose to his feet, he immediately called to be taken out of the game. He then gingerly made his way back to the Warriors' locker room with team medical personnel.